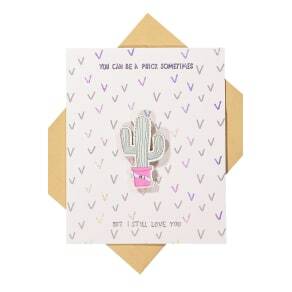 Typo - Premium Love Card - Artist series cactus! We know you love to keep up with all the latest trends, and it’s no different when it comes to stationery and accessories. From humorous cards to colourful calendars, you can find it all at here Westfield. Whether you’re looking to fill up your case with vibrant pens and pencils, or pick up this year’s diaries and compendiums, our current collection features everyday essentials and premium pieces to meet all your school and home office needs. Looking for gift ideas? Our premium notebooks and journals, as well as our beautiful stationery sets make a perfect gift for a loved one. Don’t forget to pick up wrapping paper and ribbons too, as well as a greetings card for that special occasion. Browse this season’s stationery and accessories online today, or discover our complete collection in person by visiting our stores. We look forward to welcoming you to Westfield.